IF YOU HAVE EVER DISCOUNTED YOUR DREAM, THIS WAS THE EPISODE FOR YOU. In this episode, you’ll learn some of my real-life tips about how to find time for your dream, even as a busy mom/entrepreneur/wife, etc. 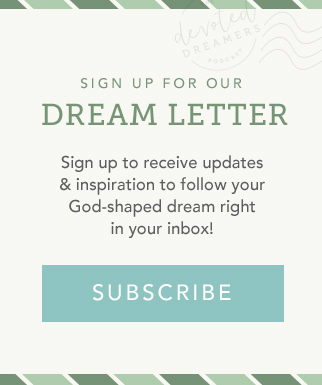 You will be inspired to believe in the value of your dream not only for the dream itself but also for the ways it will draw you closer to the Father as you take risks, leave your comfort zone and do scary things to pursue it. 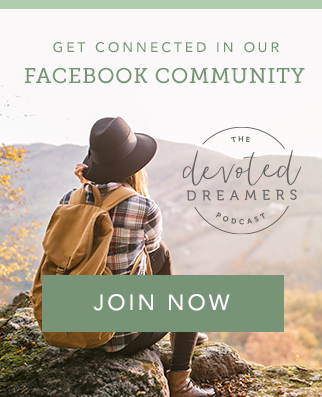 Hear why you’ll face opposition, what that looks like for other dreamers (including the most accomplished women you know) and how you can fight back in the face of these challenges. 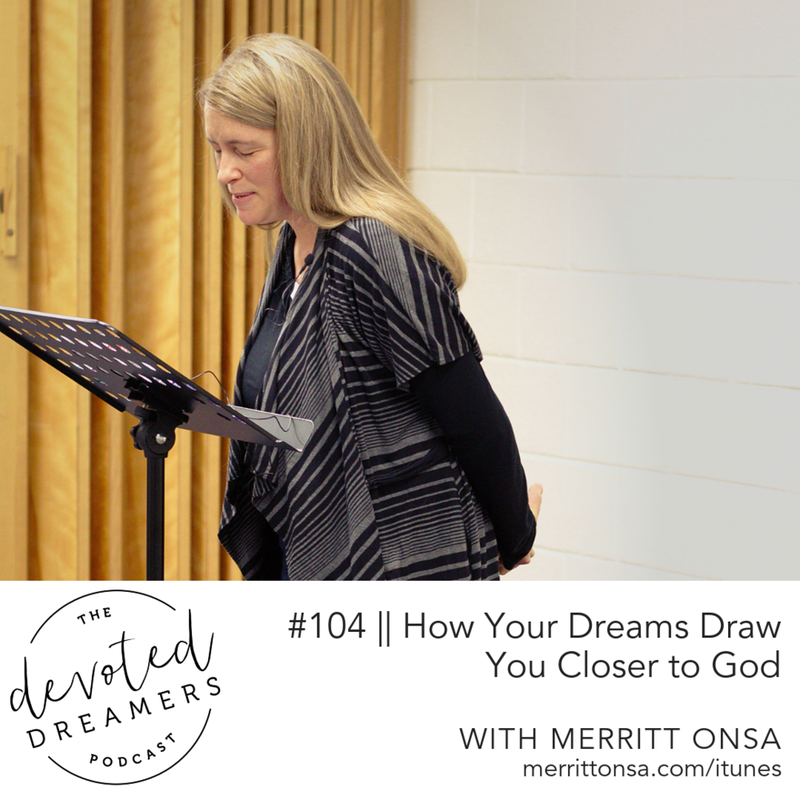 We also talk about letting go of the mom-guilt and, instead, discovering the benefits to your kids as you take time to pursue the dream God has placed on your heart.